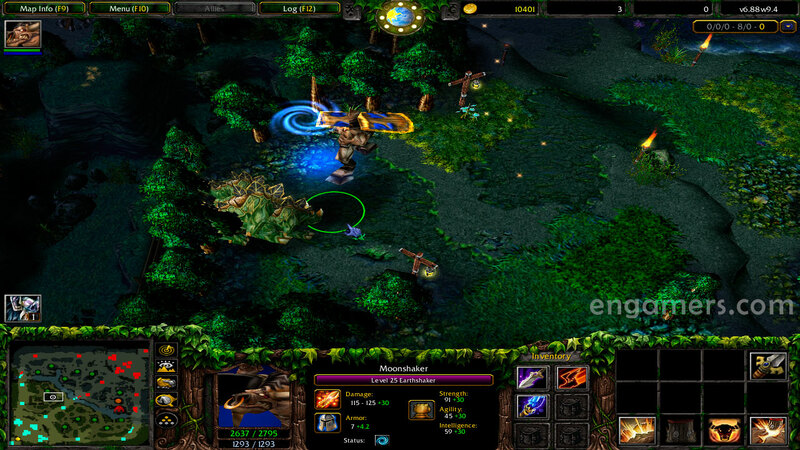 Dota 6.88 RGC is the latest dota map stable for RGC (Ranked Gaming Client) platform, created by DracoL1ch. This version is based on the official map, includes many improvements in the game mechanics, heroes balance adjustment, fixed some bugs, new terrain, wards stack, such as new items in the store. 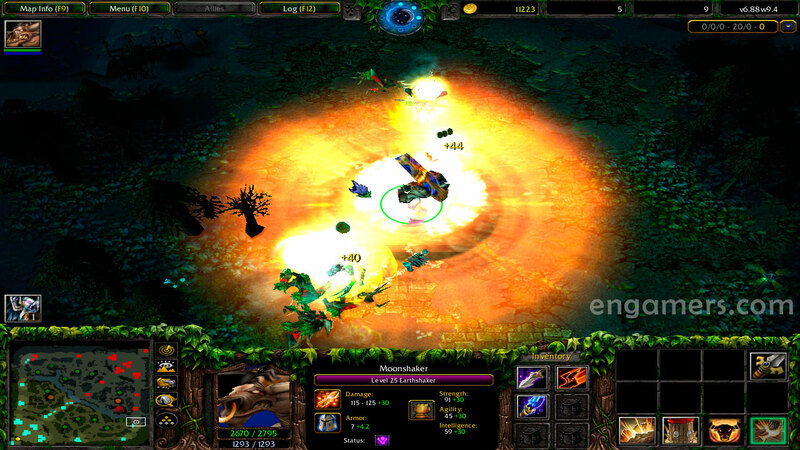 The new map DotA 6.88×5 is now supported on some RGC rooms (Such as Iran, Philippines, Thailand, Serbia, among others). 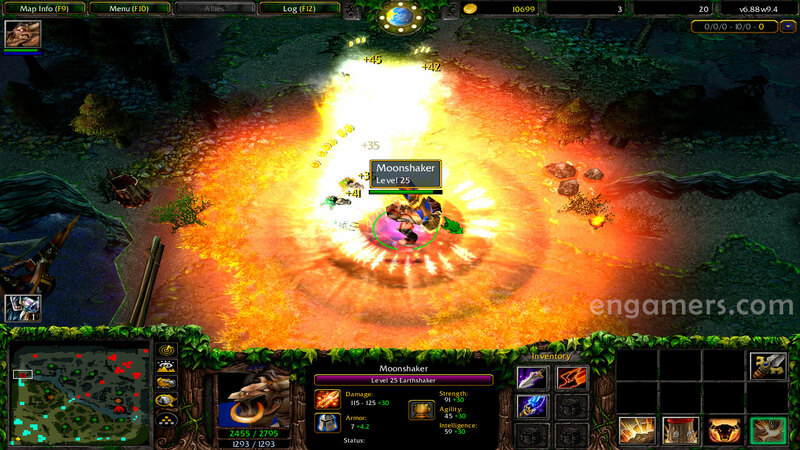 However, in most channels players play with the DotA 6.88v3 or 6.85k. 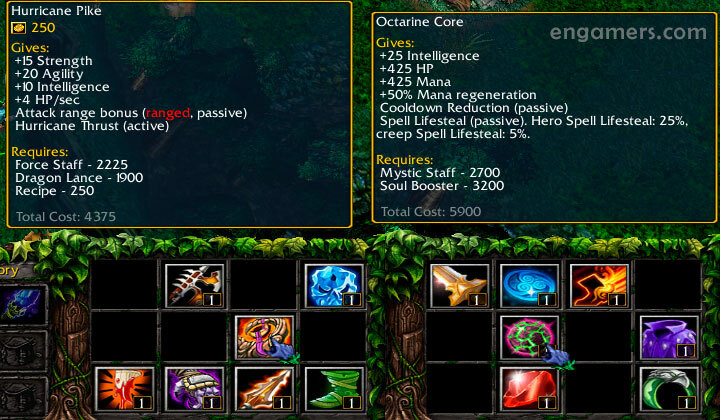 The new version corrects several errors in the balance of the heroes and Items. 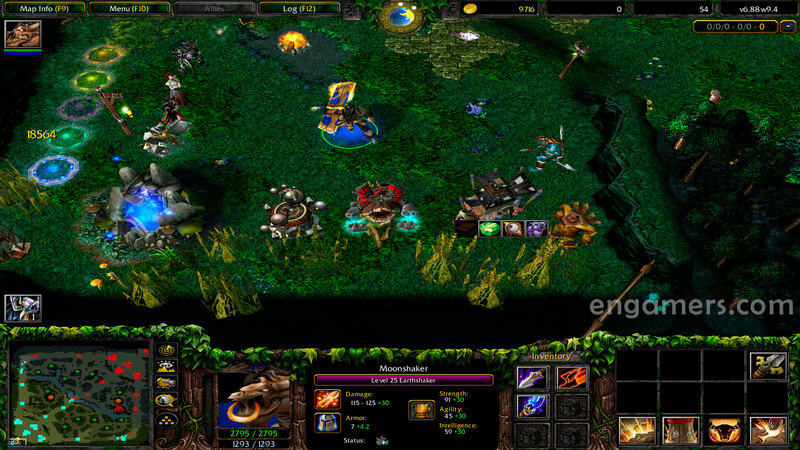 Also it brings improvements in the design (Visual) and configuration, more game options have been added to their customkey (config.dota), now it is possible to open the dota map and create games on LAN with patch 1.26a of warcraft III (read more below), without using any patch 8mb modifier (such as game.dll or bypass map). One of the biggest and most important changes in this new update is the addition of new items, among them are: Iron Talon, Dragon Lance, Hurricane Pike, Faerie Fire, Blight Stone, Infused Raindrop, Bloodthorn, Wind Lace, Tome of Knowledge, Aether Lens, Echo Sabre. – * Warcraft III The Frozen Throne version 1.26a, 1.27a or 1.27b.The version of warcraft 3 to play in RGC depends on the channel / region / country where you want to play, check in the RGC channel that version of warcraft 3 is supported. – This map does not work with patch 1.28.5, 1.30.1 and patch 1.30.2 PTR, when starting a game it produces crashes. – (14-12-2018) DotA 6.88×5 is available. – (04-04-2018) DotA 6.88vX is now supported on some RGC rooms (Iran, Philippines, others). 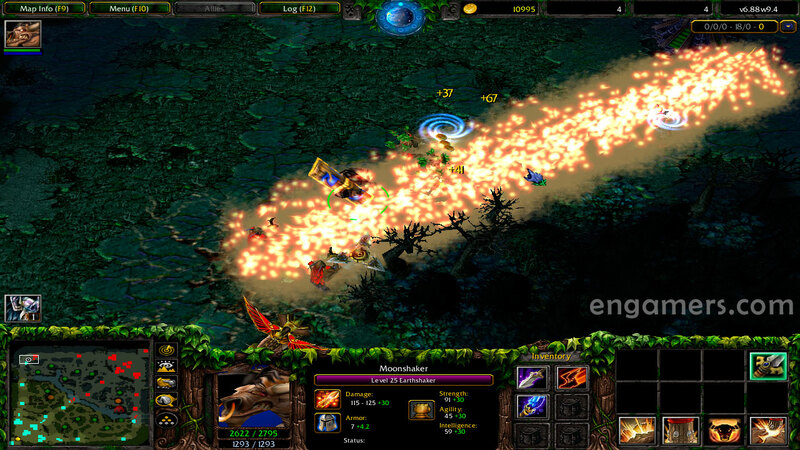 – More game options have been added to the config.dota file, for more details open the file config.dota.ini. – Improvements in the game interface. – Fixed bug that caused heroes to skip death animations. – Fixed Raindrop working on illusions. – Fire Remnant Jump now displays manacost when no Remnants placed. – Improved restricted items block mechanic. – Glimpse no longer goes through Omnislash. – Fixed yet another case of Skewer causing stun-like effect on Magnus. – Fixed Rearm or Supernova producing fatal error text message, and causing desync. – Fixed reported desync issues. – Added visual indicators near Market to display Wards, Gem, Tome, Smokes availability (visible to allies only). – Tome of Knowledge can no longer be bought on enemy’s side. – Fixed CD/CM hero models staying too far for some Sentinel players (v5 change). – Fixed Natural Order providing 25/50/75/100% armor reduction instead of 40/60/80/100%. – Chat command -si to swap items in the inventory now supports wards and less laggy. – Fixed Flak Cannon having 1 less attack than intended (v6’s bug). – Changed & improved some icons, and various tooltips. – Fixed Double Tempest (Arc Warden) providing gold to the enemy when dying due to normal skill duration. – Improved Ice Shards (Tusk) to prevent getting stuck inside the ice. – Fixed Flak Cannon (Gyrocopter) visually not being removed when last attack has been finished. – Fixed Assassinate (Sniper) not benefiting of spell damage amplify. – Cleave damage now returns as physical damage by Dispersion, Spiked Carapace and Blademail. 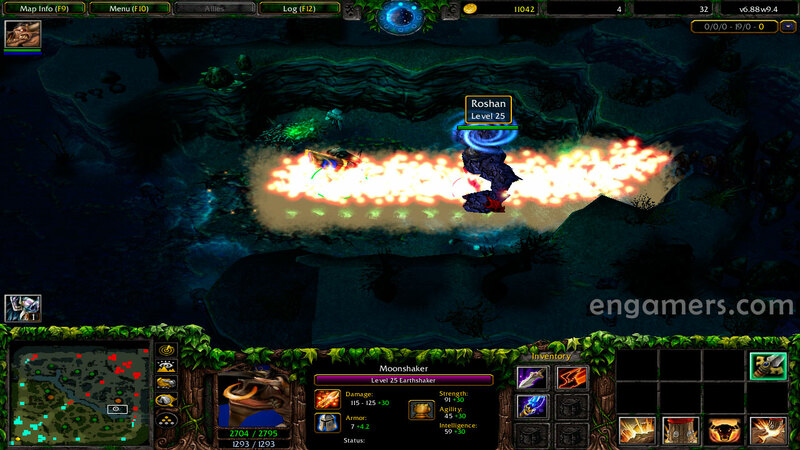 – Added visual effect for Psi Blade’s (Templar Assassin) affected enemies. To fix this error, use patch 1.26, or install the modified game.dll file in your warcraft III folder. II.- “The map file is too big. Please choose a different map.”. Solution 1: DotA +6.88 maps doesn’t work on LAN with 1.27a, 1.26a or before version, because these versions can’t open maps larger than 8 MB. In this case you need to use the game.dll file of your 1.26a patch: “game.dll“, download, unzip and copy game.dll file in your warcraft folder, but remember to backup your game.dll file original. Please read more details: Patch 8mb. Solution 2: Play on LAN only with patch 1.26a (no require patch 8mb modifiers). DotA 6.88×5 have an option that disables the limit size (8mb) to open the map of dota (This produces the error message the Map file is too big.Please choose a different map), this function only works with the patch 1.26a of WarCraft III, it does not work with another patch. – Select “Single Player”, “Custom Game”, choose the map DotA 6.88×5 Allstars and “Start Game”. – When the game is created, you will see the message “Map size has been disabled, LAN games are now avariable on this map”. – Now, close the match, select “Menu”, “End Game”, and “Quit Mission”. – Go back and create a game on LAN, go to “Local Area Network”, “Create Game”, select the map DotA 6.88×5 Allstars, select “Create Game” and you can open the map and create the game LAN. – All users who are going to play must activate this option to be able to open the map and play on the LAN. The game Warcraft III produces crashes or error message when loading a game on LAN with the patch 1.27b. Solution 1: This map is playable in Ranked Gaming Client, but if you want to play in another platform or LAN you must download the other map stable for LAN: DotA v6.85k Allstars.w3x, or use the game.dll file of your 1.26a patch: “game.dll” (copy in your wc3 folder). All players need to have the same game.dll file to play on LAN. You can use Warcraft Version Switcher to upgrade/downgrade your Warcraft at any time. Only use these dll files in offline mode (LAN/PC), never to play online, some servers detect it as a hack map / cheats and you can be banned. – The “Warcraft III bypass map file size limit” patch, doesn’t work with this map and produce crashes, if you are using this patch, delete it (forcefixsizelimit and GameDll_fix_mapsize_limit.mix files). – This map does not work with patches 1.28.5 or 1.29, produce crashes when starting a game, there is no solution in this moment. – You should copy the DotA map (DotA Allstars 6.88×5.w3x) into your Download/maps folder of WarCraft III…. *Only for single player tests. 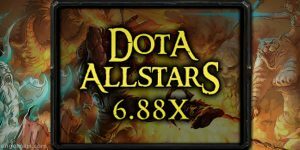 – If you want to play against heroes managed by the computer (Bots), read: DotA 6.88 Ai. – This map does not work with the patch 1.28.5, nor with the patch 1.29 PTR, when starting the game LAN produces crashes. when you release ai map of 6.88???? And can you add some new heroes and items of dota 2 7.07c in new patch????? Doesn’t work in 1.27a patch? Can’t play in patch 1.26a? file to big, i cant play this map… please help…. why same map can not join ? Have a problem. I have the 1.27b version and runs nice, but when I start the game from Rgc platform it runs the 1.26a version and it feels so slow…how I fix it? Very well. But please add some of the skills and some new items. And could you please change the map. This map is good, but We’re looking forward to the new release, which has new terrain, new heroes, new items and new aghanim changes!!!!!! !